Camp with confidence in a dependable Gulf Stream RV! Designed with user-friendly features and a smart construction, Gulf Stream consistently delivers quality products that stand the test of time! An RV is an investment, and our inventory of Gulf Stream RVs will not disappoint! Gulf Stream has provided fantastic, lasting RVs since 1983! With quality and value as its core mission, Gulf Stream has perfected its production of user-friendly RVs that have proven their worth and durability, with some brands remaining in production for 15 years! Gulf Stream’s commitment to customer satisfaction has shaped every aspect of production and beyond, with careful consideration to feedback in new designs, as well as an unbeatable post-purchase presence with over 250 service centers located throughout North America! A caring and considerate company is hard to find, making Gulf Stream a great choice for your next RV purchase! When you’re ready to make the switch to Gulf Stream, Gillette’s has great options! 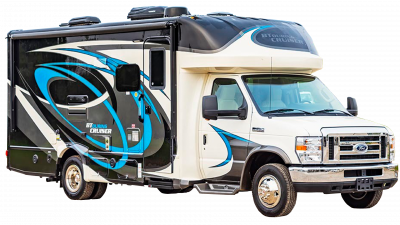 The BT Cruiser Class C motorhome is a great choice for those who like to keep travel simple, with straightforward floor plans and handy amenities, you can get out and focus on fun! 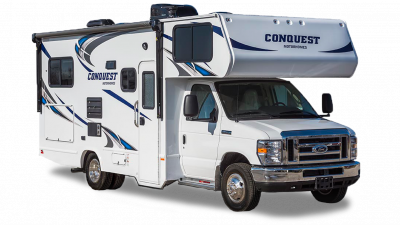 The Conquest Class C motorhome offers more options for family fun, and will inspire the love of travel and the great outdoors! If you don’t find a layout perfect for you, use our custom build tool to design the perfect RV to make all your travel dreams come true! Give us a call at 517-339-8271 with any questions! We are happy to help and excited to help you toward owning the perfect Gulf Stream RV!